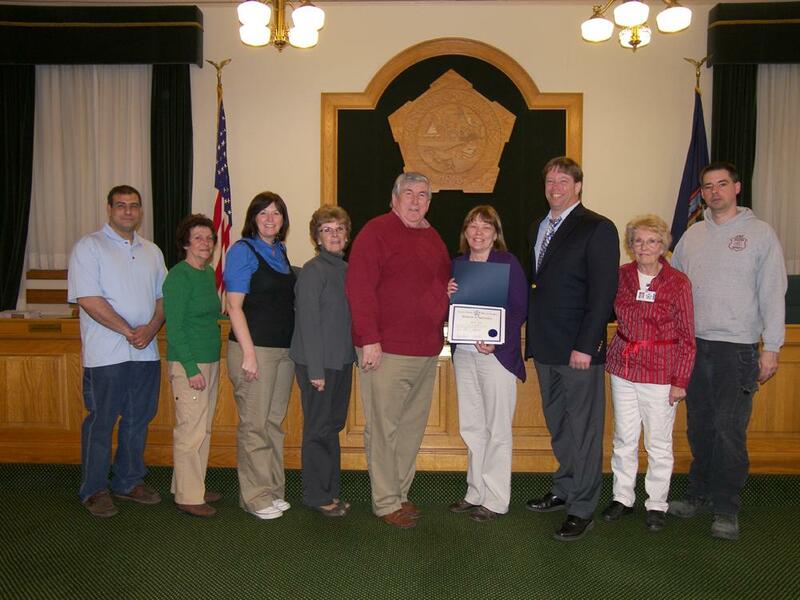 The Oswego County Legislature’s Public Safety and Emergency Services Committee recently presented Brenda Bisbo a certificate recognizing her 10 years of service to Oswego County government. Bisbo is an account clerk for accident records in the Sheriff’s Office. 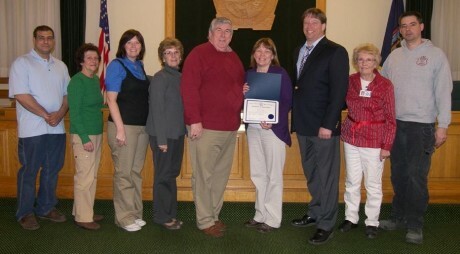 Pictured from left are members of the Public Safety and Emergency Services Committee, John Martino, District 6; Mary Flett, District 17; Amy Tresidder, District 16; committee chairwoman Linda Lockwood, District 11; Sheriff Reuel Todd; Bisbo; Undersheriff Eugene Sullivan; Margaret Kastler, District 1; and Shawn Doyle, District 3.